Peter Lee is a scholar who specialises in the politics and ethics of war and military intervention. This interest first emerged at the bedsides of grievously injured and dying soldiers during the first five months of the 2003 Iraq War. At the time he was serving as a Royal Air Force chaplain at the British military hospital in Cyprus. Profoundly affected by the physical and emotional carnage he encountered, Peter would go on to swap chaplaincy for academia in 2008. Those experiences eventually led to his first book, Blair’s Just War: Iraq and the Illusion of Morality (Palgrave Macmillan, 2012). Expanding his interest in the relationship between politics and truth, he went on to write Truth Wars: The Politics of Climate Change, Military Intervention and Financial Crisis (Palgrave Macmillan, 2015). 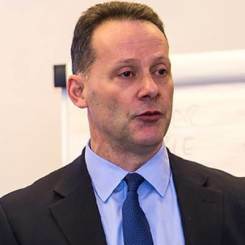 In parallel, he has been extensively engaged in both public and academic debate over the UK’s use of military drones for several years, now the main focus of his writing. A colleague who is represented by Andrew Lownie described him as “the best agent in the world” and suggested I seek representation. I sent a comprehensive submission and Andrew’s enthusiastic response and detailed critique led to me signing up with the Agency. 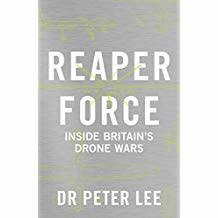 World English rights in Peter Lee’s Reaper Force: The Inside Story of Britain’s Drone Wars have been bought by Blake Publishing.